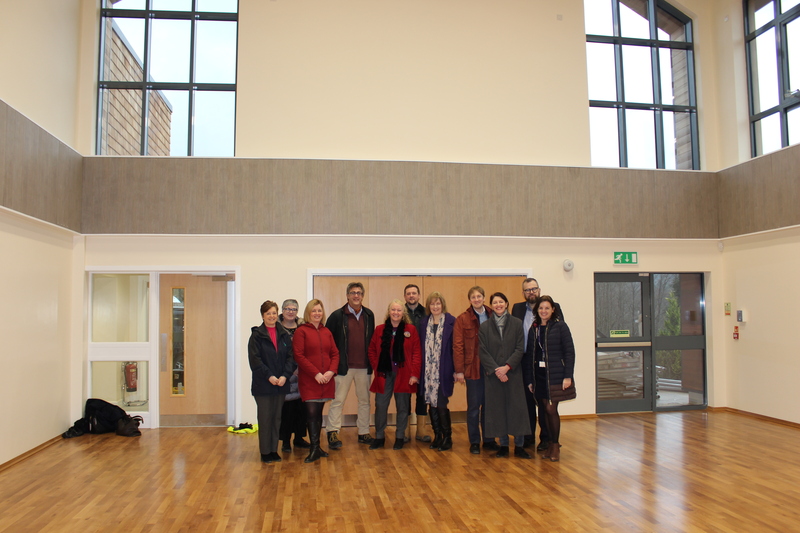 Councillors have had their first look at the newly refurbished Strathyre Primary School ahead of its re-opening to the school community next Tuesday (Dec 18). Stirling Council has invested £1.864million in the project which will provide additional teaching space and a sport, dining, and community area. It also will remove existing modular accommodation and the need to transport pupils off site for physical education. School staff, including Headteacher Bernadette McDonald, have already cast their eyes over the new facility, showing pictures and videos to pupils, who have expressed their excitement at returning to the school. On Wednesday (Dec 12), Convener of the Children and Young People Committee, Cllr Susan McGill, along with local ward Cllrs, Evelyn Tweed, Jeremy MacDonald and Martin Earl, were given a guided tour of the impressive new building. Cllr McGill said: “It was fantastic to see the newly refurbished school at first hand and see its transformation into a modern and fulfilling learning environment which will help pupils achieve their potential. Work on the school started in October 2017 and was due to be completed for the start of the 2018/19 academic year. Due to severe winter weather, construction issues and circumstances outside the Council’s control, the planned entry date was put back to October and then December. Temporary arrangements to accommodate pupils at McLaren High School during the works had to be extended, and the Council would again like to thank pupils, parents and families for their patience during this period of disruption. Cllr McGill added: “This is a tremendous learning space which has been completed to the highest possible standard and it will not only benefit pupils but the local community. Note: Picture shows Councillors, Council Officers and Strathyre Primary School Headteacher Bernadette McDonald inside the new school.